The original recipe was written using quinoa but after a food sensitivity and gut test we discovered that buckwheat is a better fit for Emma than quinoa. 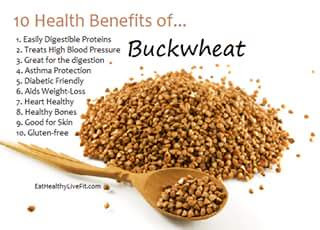 While many people think that buckwheat is a cereal grain, it is actually a fruit seed that is related to rhubarb and sorrel making it a suitable substitute for grains for people who are sensitive to wheat or other grains that contain protein glutens. Buckwheat flowers are very fragrant and are attractive to bees that use them to produce a special, strongly flavored, dark honey. This makes it an excellent meat substitute. 2 1/2 cups water 10-15 minutes until water is gone. If using quinoa rinse and cook in insta-pot for 1 minute with 1.5 cups of water. 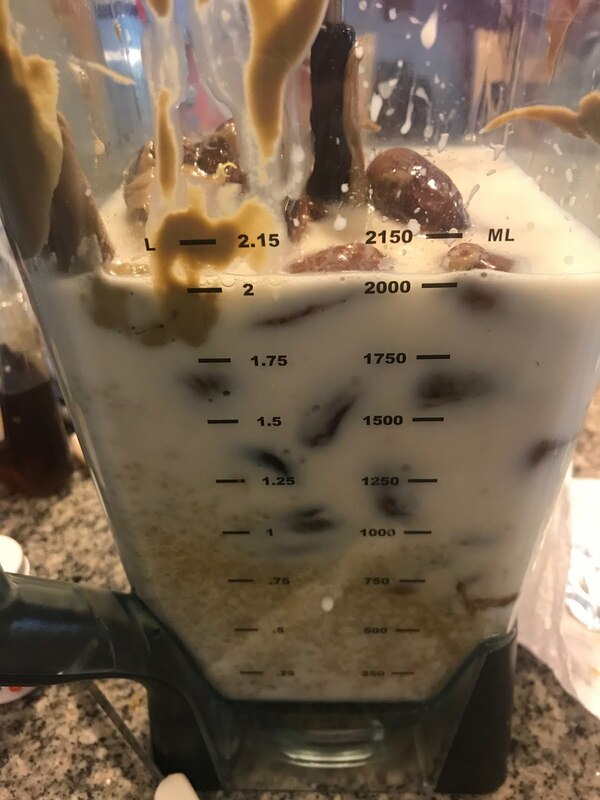 Add cooked quinoa and the rest of the ingredients to a blender until smooth. 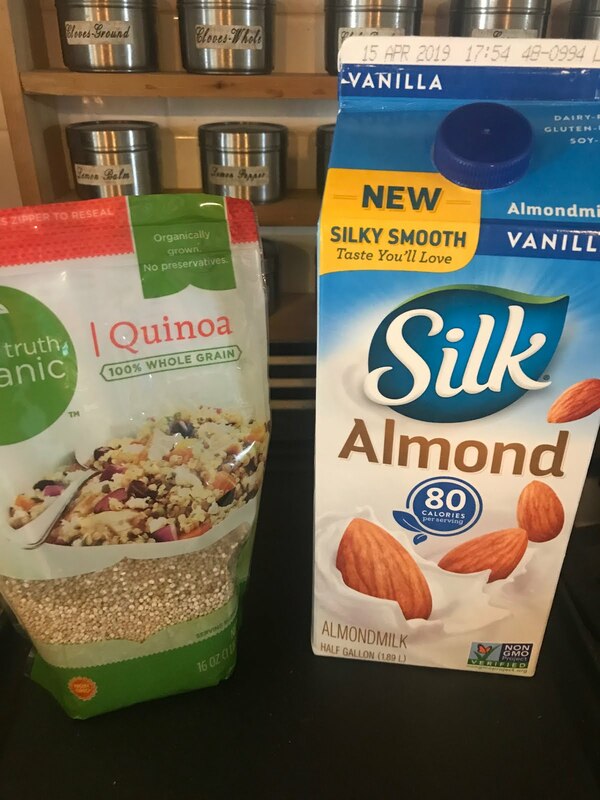 Quinoa is non-GMO, gluten free and usually grown organically. It is considered a whole-grain crop that is grown for its edible seeds. For good reason it was referred to by the Inca Empire as the "mother of all grains" and believed to be sacred. 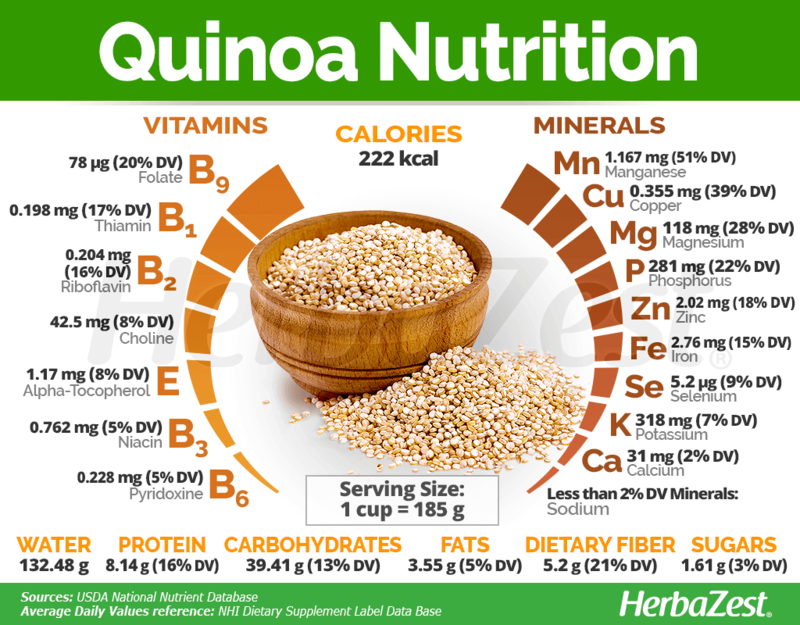 Most quinoa properties are determined by a high amount of essential amino acids, which are transformed into bio-available protein. 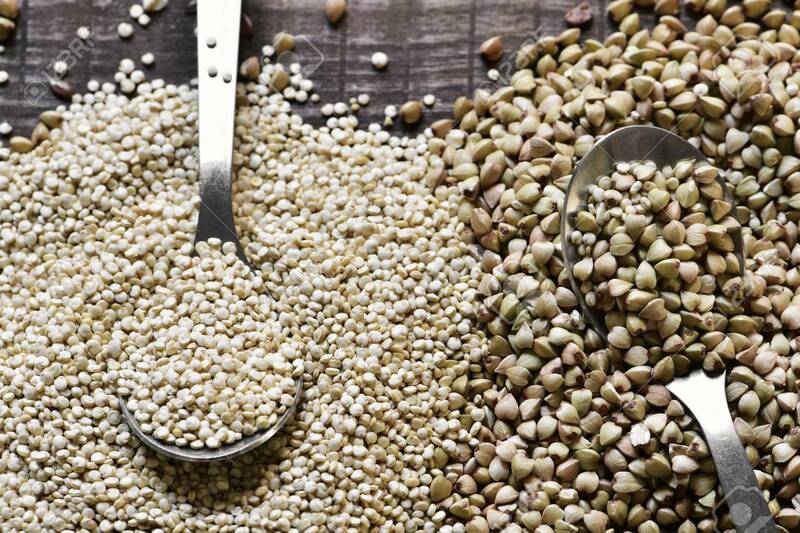 Quinoa possesses eight amino acids that the human body can not produce. They are considered essential for transforming into protein and muscle but also for aiding in many other metabolic functions. These amino acids include isoleucine, a blood glucose-lowering amino acid; leucine, which is crucial for building and maintaining muscle mass; lysine and methionine, both required for growth and tissue repair; phenylalanine, which plays a key role in the biosynthesis of other amino acids; threonine, an immunostimulant that promotes endocrine health; tryptophan, which is required for infant growth and brain serotonin synthesis; and valine, which promotes mental vigor, muscle coordination, and emotional calmness. Quinoa is a powerhouse of minerals, including manganese, copper, magnesium, phosphorus, iron, and zinc, all of which are necessary for cellular metabolism, as well as for healthy bones and the well-functioning of nerves and muscles. It also provides adequate levels of potassium and selenium, both important for the nervous and immune systems. This Andean grain is a good source of B complex vitamins, mainly B1 (thiamin), B2 (riboflavin), and B9(folate), and its nutritional value is rounded by adequate amounts of B3 (niacin) and B6 (pyroxidine), as well as choline and vitamin E (alpha-tocopherol). So I was excited to try something new with Emma and of course she turned her nose up after a few bites. I was a little nervous about it because the consistency is very similar to oats and she is not a fan of oats. But as with everything else, I was not going to give up that fast. Knowing that she prefers cold to hot I decided to try something different. So I started adding some even more power foods. Figs: Great help enhance digestion and regulate bowel movements. They are beneficial for respiratory passages. Figs contain phenolic compounds, mostly flavonoids, organi acids, anthocyanins, and coumarins, all of which have powerful antioxidant actions that contribute to enchance all body functions, including immune system, warding off diseases and promoting cellular regenerations-even better than red wine (which come to think of it may go good together moms). Figs are also rich in dietary fiber. Apricots: Apricots are an excellent source of beta carotene, providing 30% of the recommended daily value. They also provide high amounts of vitamin C (ascorbic acid), potassium and fiber. 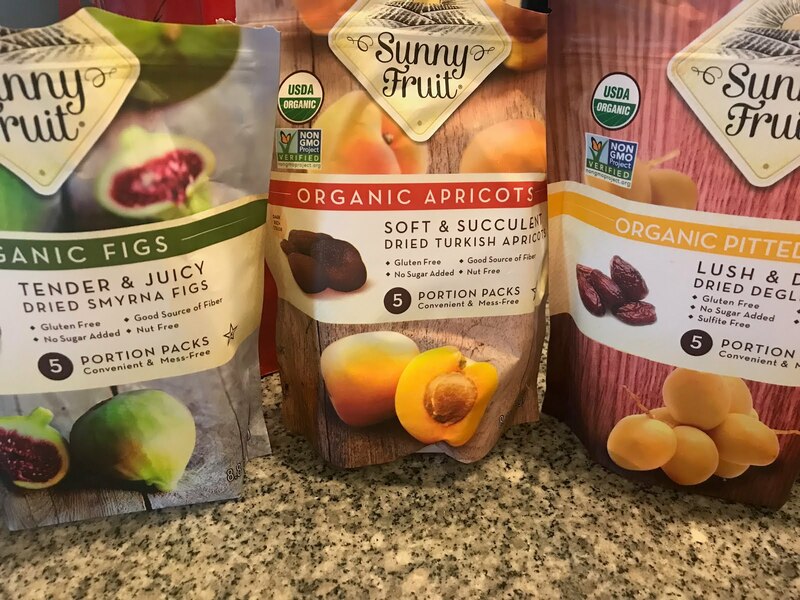 Apricots are rich in phenolic compounds, which have great antioxidant, cardioprotective properties, but boast the highest levels of carotenoids, necessary to maintain the health of eyes and skin, as well as for preventing degenerative diseases. Dates: Dates are high in polyphenols, fiber and potassium. They promote stronger bones and teeth and boosts the immune system. Dates are rich in vitamins B6, A and K. They improve intestinal health and improve the metabolism and immunity as well. Good source of folate, thiamin, niacin and riboflavin. 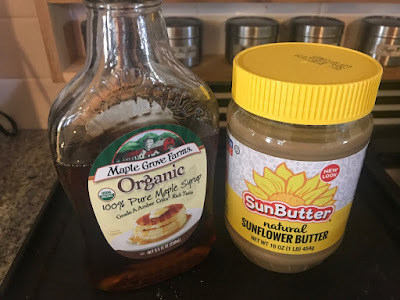 Maple Syrup: Contains over 65 antioxidants, helps fight inflammatory and neurodegenerative disease, may protect against cancer, helps protect skin health and it has high amounts of zinc and manganese. Sunbutter: High in protein, loaded in Vitamin E, magnesium, aids digestion and high in healthy fats. Add all to blender with milk of choice and blend until smooth. I freeze, just as I do my avocado ice cream. Emma will eat this for a snack and also for breakfast. Super fun to get "ice-cream" for breakfast now isn't it? For more information on gut testing and food sensitivity please visit Viome. Healthy child: Where do I start? Recently, I was asked to speak to a group of special needs parents. This pushed me to complete this post that I had been working on for awhile. While it took many hours to compile, if it inspires even one family, it was time well spent. Nutrition supports the body overall and in each of these categories. 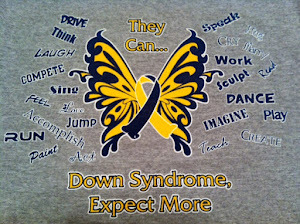 I have been in the medical field for 30 years now, but only began to dig deeper after Presley was born with Down syndrome. I have been researching each of these areas repeatedly over the past 7 years and would like to share with you some of the highlights. This information has proven very beneficial for our family. Remember, we started out on this journey with one change at a time and over time, it has added up. It’s a marathon, not a sprint race. The overall goal is better health for your child. Better health decreases the chances of illnesses, promotes proper elimination, expedites healing from an illness, decreases brain inflammation which leads to better cognition and learning. This could possibly lead to decreasing or eliminating the need for certain medications. Nutritional support is even more important if you have or know a child on a stimulant medication, such as for ADHD, since a common side effect is delayed growth. They eat less, so what they do consume should be nutrient dense. Did you know there are diets proven to not only prevent and treat but reverse our #1 killer, heart disease, along with other deadly diseases such as type 2 diabetes and high blood pressure? (Ornish, Esselstyn) Yet doctors get little if any formal nutrition training in medical school, graduating without some of the most powerful tools available to stop the chronic diseases that remain our leading causes of death and disability. As parents of children with different needs, we can experience more stress and less sleep than average, and we are not exempt from our own health issues. We need to live healthier longer. We have all heard about applying the oxygen to yourself first before you can help others. Therefore, this should really be a family commitment. This lifestyle can take a little more time and more money, but it will increase the quality of your child’s life. Your entire family will be healthier from a few changes. What does a real food diet look like? - No gluten - gluten is a family of proteins found in wheat, barley, rye. Makes dough elastic and causes bread to rise. Some people have gluten intolerance (like Celiac) or gluten sensitivity. Children with ASD show significantly higher levels of IgG gliadin antibody, the class of proteins present in wheat, and produce an immune response in sensitive individuals. Biological testing also confirmed people with ASD tend to have higher levels of gluten proteins in their urine. (D. Amen). According to the National Institute of Health/US National Library of Medicine, Non Celiac Gluten Sensitivity has been related to autism, schizophrenia, and depression. Symptoms of NCGS can include: abdominal pain, bloating, diarrhea or constipation, or systemic symptoms such as brain fog, headaches, fatigue, leg/arm numbness and more. You must remain entirely GF for 30 days minimum to see if your child will benefit from this. Remember, a gluten free cookie, is still a cookie though. Gluten free does not necessarily mean healthy. - No or limited dairy (casein) - some debate whether casein harms the brain or the dairy causes gastrointestinal problems, which cause distress and worsen behavioral issues. On the elimination diet, you eliminate common food offenders, such as dairy, and after 30 days or more, you could introduce a small dairy product and see if it creates concerns. Children with ASD have been shown to have lower levels of Calcium, so consider an alternative such as almond milk or coconut milk. Observe for nut allergy or sensitivity to oxylates. - No processed foods – chemically processed foods are made of refined ingredients and artificial substances. Highly processed foods often contain: preservatives, colorants, artificial flavors, and items to give texture. They are typically low in nutrients and fiber. - No artificial dyes - associated with hyperactivity and behavioral disorders (check labels, you will see it in pickles, ketchup, candy, cereals and much more. These are banned in many European countries due to the neurological effects. - No sugar - amount recommended for a day 100 – 150 calories a day for adult from sugar, which means one can of soda would put you over the limit. Too much sugar can lead to insulin resistance, elevated triglyerides and cholesterol, and increased fat accumulation in the liver and abdominal cavity and more. Strongly associated with heart disease, diabetes, obesity, and cancer. Sugar causes inflammation throughout the body. - No refined oils or trans fats – usually contain cheap fats with excessive amounts of omega-6 fatty acids, which can increase oxidation and inflammation in the body. Choose unrefined oils, meaning they haven’t been filtered, heated, treated with chemicals. Coconut oil is a good alternative. - Fewer& real ingredients: small amount of ingredients that you can recognize (5 ingredient rule). - Fresh foods as often as possible, organic and non GMO when possible. 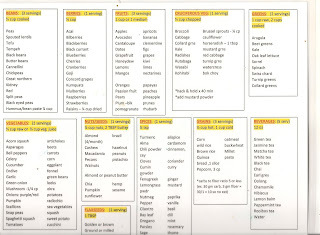 At a minimum, avoid the dirty dozen (most pesticides) as reported by the Environmental Working Group (https://www.ewg.org/foodnews/ ) Real foods are grown and packed with nutrition. 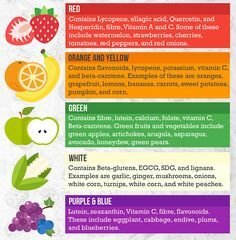 Find a good printable of "eat the rainbow" and put on the refrigerator. For example, cruciferous vegetables, such as broccoli, kale, Brussel sprouts, cabbage, cauliflower contain an important ingredient called sulforophane. It up regulates heat shock proteins in the brain and can improve synaptic transmissions and connectivity in the brain, which is typically decreased with ASD. It is also a natural inducer o f N12, known as the “master regulator of the body’s response to environmental stressors. It also triggers antioxidative response elements and increases mitochondria function. Mitochondria are the “powerhouse” of all the cells and is known to be dysfunctional in children with ASD and DS. There was a study that gave 1 TBSP of broccoli sprouts (=1 cup broccoli) to children < 100lbs and it was shown to decrease abnormal behavior. Supplements provided no change. Broccoli sprouts can contain up to 100 times more sulpherophane than a mature broccoli plant. - Check out thrive market, amazon, daily harvest for examples of online ordering and delivery right to your home. Look into azure standard to local delivery of fresh foods. There are so many options to find healthy options. Where do I start? What can I feed my family? - There are many websites and apps for assist in meal planning for your family. Some examples are wellness mama and forks over knives. - Make small changes, maybe this week, you find a brand of chips that contain only three ingredients: potatoes, salt, oil. Stay with that brand. Next week, add a couple of bites of broccoli. 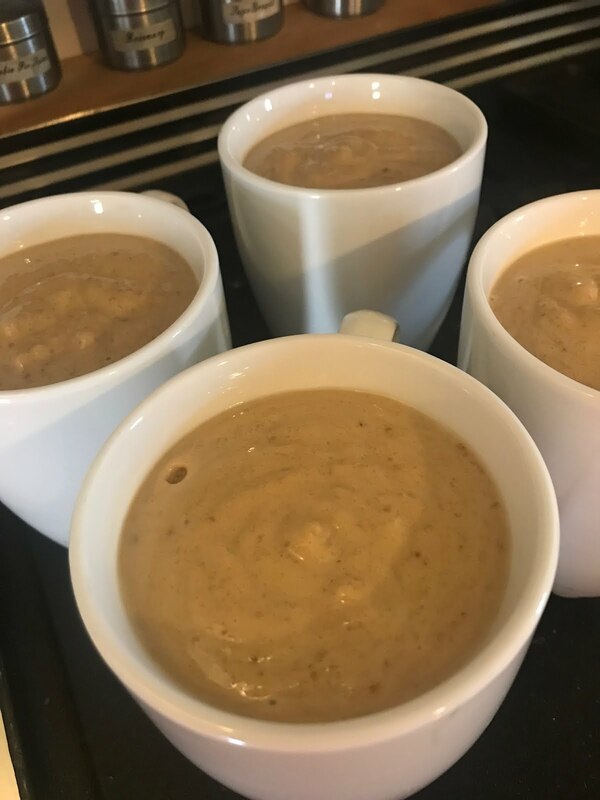 Try a smoothie at Tropical Smoothie Café (ask for no sugar and to substitute with honey instead) and then tell your child you can try making it at home next time. Include them in choices and allow them to help make it by choosing and adding ingredients. .
- Remember to see what your child is getting at school and even in Sunday school. I have seen Goldfish crackers handed out many times. They contain artificial dyes, sugar, wheat, refined vegetable oils, high sodium content, and non-fat milk, so basically everything we just talked about. 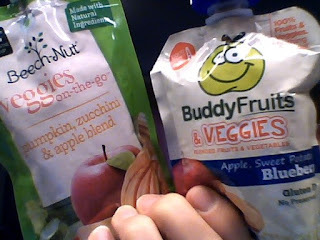 - Fruit and veggie pouches. Maybe you can't find organic, but you are still giving them good nutrition. Keep things like these on hand for a quick snack. o We only consume grass fed beef. What about a picky eater? Check out Melissa Matecki with Healthy Kids the Easy Way on her Facebook page or website: https://healthykidstheeasyway.com/ for tips and strategies. - Talk with your child about why health is important. Get them to talk and ask questions. help pick out a recipe. - Ask them afterwards what they liked, what was challenging for them. Talk about it. - Repeated exposures works over time with a little planning and a positive attitude. - Intestinal permeability aka “leaky gut” – secondary to poor diet choices, chronic stress, toxic overload, bacterial imbalance. The intestines are protected by a single layer of specialized epithelial cells that are linked together by tight junction proteins which control what is allowed to pass directly into the bloodstream from your digestive system. Leaky gut symptoms are a results of the tight junctions malfunctioning and allowing toxins, antigens, bacteria and more to enter the bloodstream. This causes inflammation and sometimes autoimmune reactions . o What can you do? § Remove damaging foods. Try the elimination diet. Remember it takes about 2 weeks for your taste buds to adjust. § Support the gut with an anti-inflammatory diet. The Wahl’s protocol by Dr Terry Wahl’s is very informative. § Some say repair the gut with supplements recommended by a functional medicine doctor. § Others say probiotics and pre-biotics. Pre-biotics are food for gut bacteria. Do not use a cheap brand of probiotics. We have had good results using Seeking Health Probiotia and Visbiome. § Dr Nemecheck is popular within the ASD community. Informative website, Facebook pages, and numerous youtube videos. He recommends taking inulin, olive oil, fish oil to decrease inflammation and allow the gut to heal. No probiotics are used during his protocol, so you do not feed the bad bacteria. Some parents of children with ASD reported increased behavior issues initially. § The GAPs diet is another popular protocol to heal the gut. - Tests: we have done multiple stool samples through companies such as Ubiome and Viome. They give their recommendations based on their analysis. 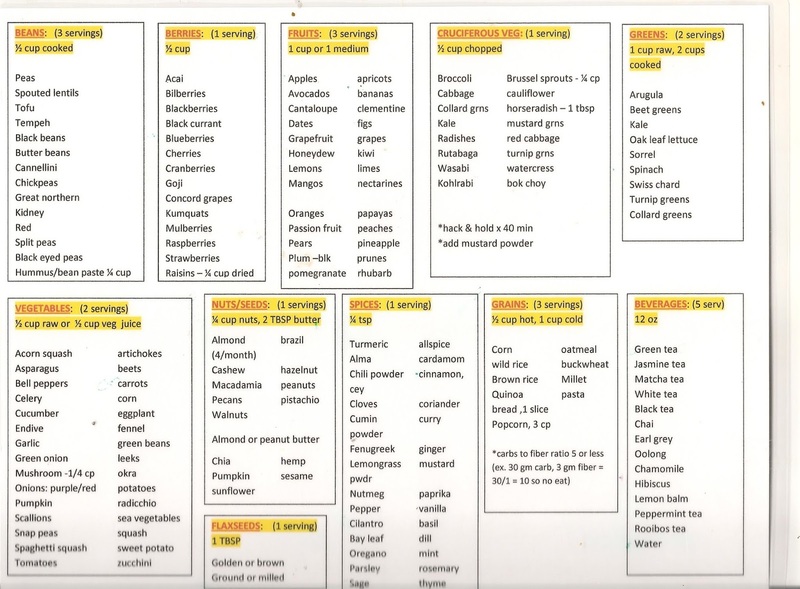 Viome gives a detailed list of foods to add, limit, or eliminate based on their results. They also tell you the species of good and bad gut bacteria, as well as the diversity of bacteria. You want a diverse gut microbiome. It also gave us valuable information as to whether our probiotics were effective. It is also helpful to know if you will be using a gut healing method called the Nemecheck Protocol (see below). - Miralax - initially was recommended by the GI doctor, but after researching, I discovered it has never been approved by the FDA for use in children and there are no studies to assess the side effects of long term use. The FDA admits to years of reports of tremors, tick, and obsessive-compulsive behaviors in laxatives containing PEG 3350, the active ingredient in Miralax. Perhaps save it for a "rescue" or to "clean them out" while you figure out the cause and get their gut moving. We were fortunate to never use it. o Increase fiber – oatmeal, beans, green leafy vegetables, prunes, and flax or chia seeds. Caution: when adding bulk like fiber, you must also ensure the fluid intake is adequate or it could become stagnant and cause more issues, such as "making a brick". o Vitamin C cleanse and maintenance dose– read more by Dr Russell Jaffe. 3. Increase and support the immune system. - The goal is to decrease inflammation throughout the body and allow the body to recover itself - Antibiotics are a wonderful resource, but not always necessary. They are not without their side effects too. - You can assist the immune system easily by lessening exposures to known sick people, good hand hygiene by washing hands frequently, teaching children to cough or sneeze into their elbows, use foot/back/or sleeve to open doors, using hand sanitizer when soap is not available, avoid touching your face, and trimming fingernails where bacteria could be hiding. levels should be close to 50-60. - Labs: vitamin panel or individually request – B12, A, D, copper/zinc, selenium, RBC Magnesium, folate, CoQ10, and amino acid panel. Organic acids is a urine test and is great for testing mitochondrial function, how you process carbs, B vitamins and more. DNA oxidative stress (8-OHdg) should be less than 25, preferably in the lower half of this range. It shows the amount of DNA damage that is occurring. C-reactive protein (CRP) shows the amount of chronic inflammation occurring. - MTHFR – (methylenetetrahydrofolate reductase) is an enzyme that converts folic acid into usable form that our bodies need. It is a key enzyme in an important detoxification reaction in the body-one that converts homocysteine (toxic) to methionine (benign). Folate or B9 is also necessary for almost all body functions, making red blood cells, and helps to prevent birth defects among other things. If this enzyme is impaired, this detoxification reaction is impaired, leading to high homocysteine blood levels. homocysteine is abrasive to blood vessels, essentially scratching them, leaving damage that causes heart attacks, stroke, dementia and a host of other problems. Additionally, when the enzyme MTHFR is impaired, other methylation reactions are compromised. Some of these methylation reactions affect neurotransmitters, which is why impaired MTHFR activity is linked with depression. Inefficiency of the MTHFR enzyme is also linked to migraines, autism, fertility, cancer and birth defects, all of which depend on proper methylation. There is a gene called the MTHFR gene that basically controls how well this enzyme works. A simple blood test can tell you if you have variant copies of this gene. There are over 50 known MTHFR variants, but the two prime variants are called 677 and 1298, the numbers refer to their location on the gene. The routine lab test for MTHFR variant only reports on 677 and 1298 as these are the most studied. The 677 variant is associated with early heart disease and stroke and the 1298 variant with a variety chronic illnesses. The MTHFR is reported out as heterozygous or homozygous. If you are heterozygous you have one affected gene and one normal gene (could have come from either parent). The MTHFR enzyme will run at about 55% to 70% efficiency compared to a normal MTHFR enzyme. If you are homozygous then enzyme efficiency drops down to 7% to 10% of normal. MTHFR can make you susceptible to illness because the pathway is the primary source of glutathione production in the body. Glutathione is the body's primary antioxidant and detoxifier. People with MTHFR anomalies usually have low glutathione, which makes them more susceptible to stress and less tolerant to toxins. If the MTHFR enzyme is inefficient, you can compensate for your body's inability to methylate efficiently since this biological process is dependent on several B vitamins. You may simply need more B vitamins than someone without a variant copy of this gene, such as vitamin B6, B12 (methylcobalamin) and the active form of folate (5-methyl tetrahydrofolate). Other methyl donors such as SAMe and trimethylglycine may also provide benefits. If you have a defective copy of the MTHFR gene, it is important for you to monitor your homocysteine level as well. - Infared sauna – raises core temperature by heating several inches of your tissues. Caution: dehydration. - Must decrease the burden/stress on the body. soap instead of Irish Spring. - coconut oil is a great alternative to most lotions and over the counter creams. - essential oils in lieu of air fresheners. - Recommend working with a functional medicine physician. They will search for the cause of the problem instead of just treating the symptoms. Here is a cheat sheet I made from Dr Gregor's recommended daily dozen. He also has an app that you can check off what you have already consumed that day. As with any information we post here, do your own research, pray about it, discuss it with your medical provider and your family, and then make the best choices you can. We are all on this journey, but many times, we are take different paths.